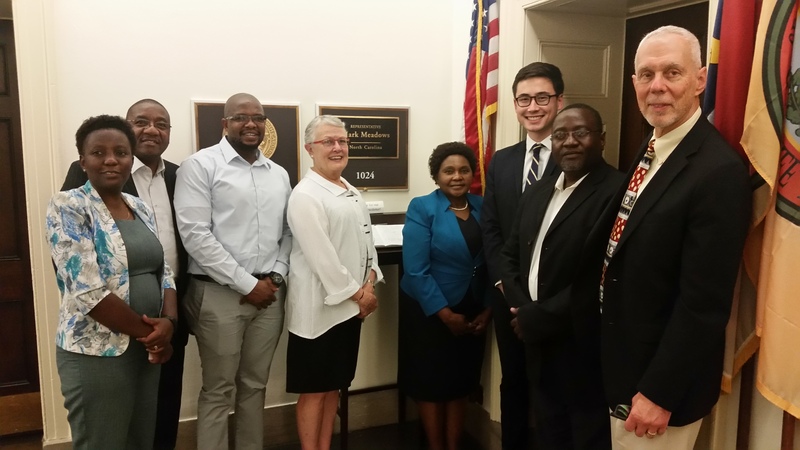 Immediately following the conference on July 16, 2018 three groups of CCIH members went to Capitol Hill to advocate for global health and development programs and to discuss the vital role of faith-based organizations in providing care. The three teams had representatives from five U.S. states and eight nations in Africa and Europe. CCIH members Drs. 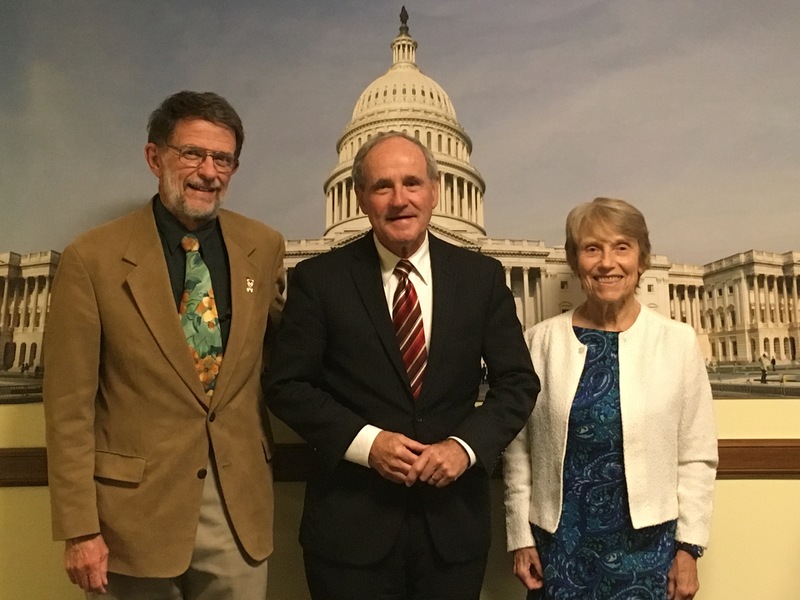 Thomas and Edith Welty of the Cameroon Baptist Convention Health Services with Senator James Risch of Idaho (center). The photo at the top shows CCIH Advocacy Team: Nkatha Njeru, ACHAP; Jonathan Kiliko, MEDS; Paseka Ramashamole, CHAL (Lesotho); Sallie Craig Huber; Karen Sichinga of CHAZ; John Rusha Saburi of ZACH; Douglas Huber of CCIH with Josh Wentzel of the office of Representative Mark Meadows. The teams expressed the importance of U.S. leadership in global health and explained to Congressional staff how they leverage U.S. support to operate lifesaving programs, such as PEPFAR and other critical health programs.